Hit the town in the classic looking men’s Eastland Exeter boat shoe. 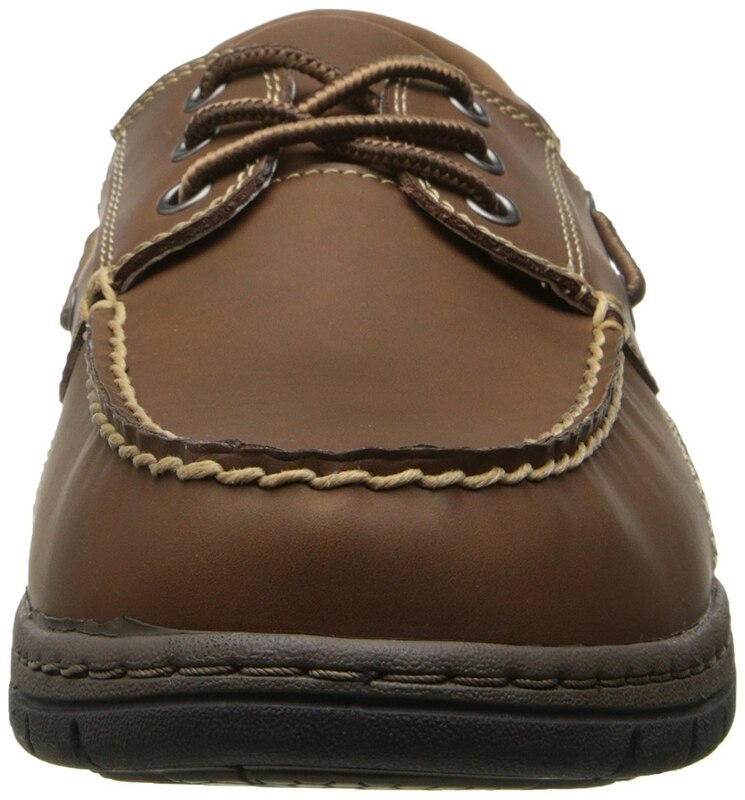 Fabricated from soft leather upper, this boat shoe with its authentic nautical design and Goodyear welt process offers flexible durability. Its insole with OrthoLite insole and synthetic Active Memory Foam massage your foot with each step. To sum its magnificence, its flexible and sturdy rubber outsole lets you maintain a confident gait or stride. Stride with poise in the stylish and trendy men’s Eastland Exeter boat shoe. Since 1955, Eastland's mission has been to supply the customer with top-quality comfortable, durable, contemporary casual footwear that is styled and priced right. Everything they do is driven by these five attributes: quality, comfort, durability, style, and affordable pricing. That is what makes Eastland shoes one of the best footwear values in the market. 749 ventas en los últimos 5 años.